Concise 8-page booklet for older adults or those who care for them. Outlines the nutritional needs of older adults, including those living in care homes or hospitals. Contains answers to frequently asked questions, such as how to stimulate appetite or boost nutrient intake, and good sources of protein for those on soft or puréed food diets. Generally speaking, basic dietary guidelines don’t change as people get older. Whatever the age, whether meat-eater or vegetarian, we need about the same amount of fat, fibre and carbohydrate as younger adults. 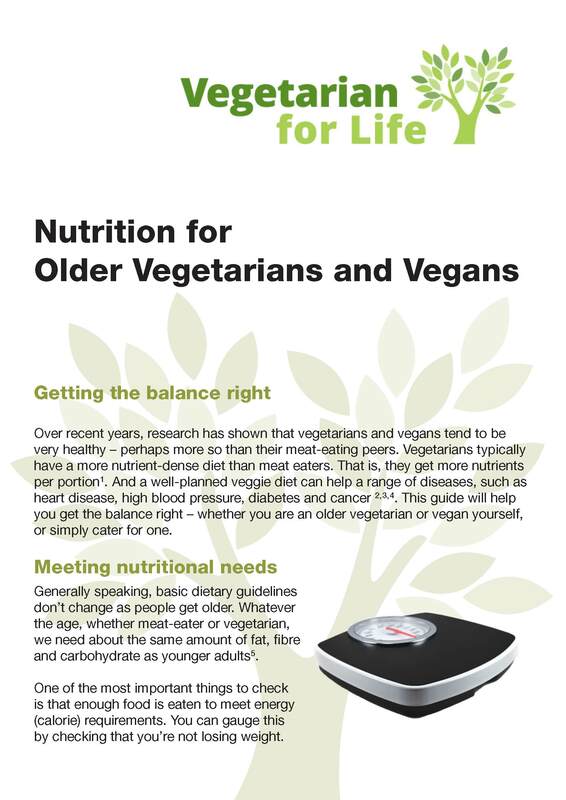 ​This publication is aimed at older vegetarians and vegans who would like to know more about nutrition.